Keep Your Body Fit with Simple Exercise during Traveling! Do you know kinds of simple exercise in traveling? Keeping your body fit while traveling is very important. Even though you are on vacation and having fun, it’s good to keep in shape. So that body shape is always maintained even though many enjoy culinary while on vacation. You can work around this by light exercise without the need to go to the fitness centre. Lodging like hotels or villas usually has swimming pool facilities for guests to enjoy. Take the time of at least one hour in the morning before starting traveling with swimming in the available pool. If not, you can choose water tourism places such as beaches, water parks or spring pools. Before starting traveling activities, there’s nothing wrong with taking the time to jog around the lodging area. 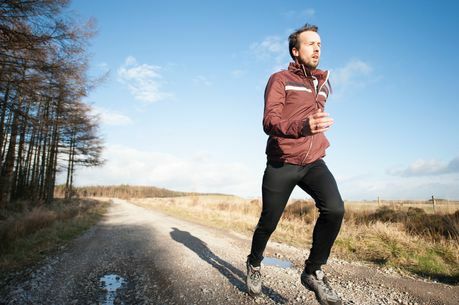 Jogging for one hour can make you sweat and your body will be fresher. If you stay at a large hotel, make good use of it for exercise. You can jog in the morning around the hotel while enjoying the scenery and breathing in the fresh air. If your hotel is not spacious enough, you can jog outside while looking around the hotel. Who knows, you can find interesting places such as souvenir centres or good photo spots. No need to rent a vehicle such as a car, motorbike, or horse when exploring tourist cities. You can choose to walk to enjoy the holiday atmosphere more. It also can be used as a time to waste calories after tasting many delicious menus typical of vacation spots. Who doesn’t like cycling? Besides being fun, this activity is also healthy. You can use the services of bicycle renters in tourist attractions. Getting around the tourist sites and exercising can be done while cycling. Push up is a simple exercise that you can do anywhere, including in a hotel room. You can push up on the floor or use furniture around the room like a chair. Regular push up for 20-30 counts can provide many benefits for your body. For example, it can form the muscles of the body, strengthening stomach muscles, helping the strength of bones, training the heart muscle, and others. Sports that are easy to do when traveling are squat jumps. You don’t need any tools to do this sport. Simply put both hands behind your head, then squat and swing your body while jumping and then crouch down again. Jump squats on a regular basis can strengthen the leg and thigh muscles and increase and strengthen energy in the body. However, the squat jump should be done for a maximum of 5-10 minutes, so you don’t get injured. Furthermore, if you can use the stairs found in the hotel where you stay. Use an emergency ladder that is quiet and also does not disturb other people. You can run casually or up and down stairs. This sport is included in the type of cardio so it is very healthy for your heart. That was the brief information simple exercise in traveling. ← How a Strong Brand Identity is Important for Business?